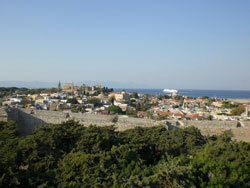 The Roman Catholic Archdiocese of Rhodes is an Archdiocese of the Catholic Church in Greece. It is an empty See administered by an Apostolic Administrator who is the Archbishop of Athens. The day to day management of the Archdiocese is the responsibility of the Vicar General who is a Franciscan Father of the Custody of the Holy Land. Greece is a country with a surface of 132.000 sq.km. The population is about 11million inhabitants. The people is mainly Christians Orthodox (about 95% of the population) and the main Church according to Article 3 of the Greek Constitution is “the Oriental Orthodox Church” that is the official Church of the State. There is a Muslim minority of about 150.000 in Thraki (towards the frontier with Turkey), a small Jewish Community and various Protestant denominations. Numerous sects of American origin are spreading rapidly. The Catholic Greeks, who number between 45.000 and 50.000 (0,5% of the population), are a religious minority and not an ethnic minority. Catholics and Orthodox share common forenames and family names, as well as traditions, especially on the islands. The contribution of Roman Catholics to the neohellenic literature during the last centuries is not negligible. Foreign Catholic residents in Greece number more than 100.000. They are mostly women in mixed marriages, who have married Greek workers or students abroad. Tourism is another factor contributing to mixed marriages. Polish Catholics actually residing in Greece are about 60.000. Catholic Philippinos in Greece number about 45.000. Total amount of faithful: 200.000. The majority of Catholics are, unfortunately, established in Athens, a city of about four million people. A large number of Catholics live in the Cyclades, in Syros (8.000) and Tinos (3.000) which have entirely Catholic villages and parishes. 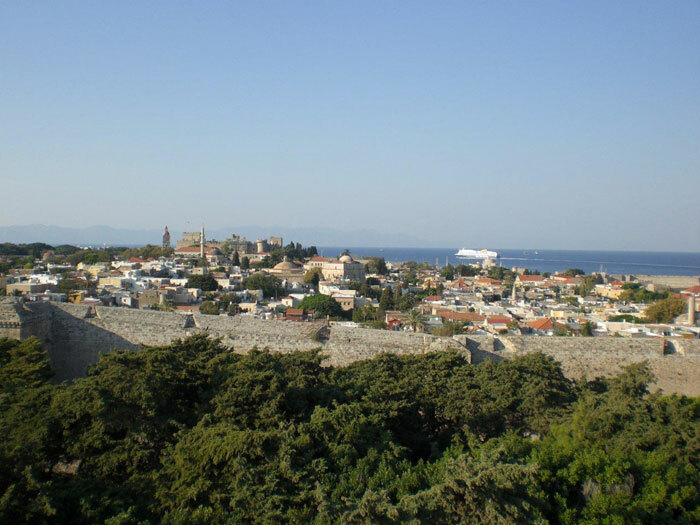 There are Catholics in Corfu, Patras, Thessaloniki, Kavala, Volos and more distant islands like Rhodes, Kos, Crete, Naxos, Santorini, Samos, Chios, Kephalonia, Zakynthos, etc. There is a Catholic church in Nafplion, another in Aspra Spitia (near the Aluminium industry of Greece) which might be helpful to the Catholic tourists visiting Greece on their way to Mycenee, Epidavros, the Peloponnese, Delphi and Beotia. In addition to the Roman Catholics who represent the majority of the faithful, there are about 3.000 of the Byzantine rite and a few hundred Armenian Catholics. There are difficulties resulting from the fact that Catholics not residing in Athens are dispersed all over the country (mixed marriages, assembling children for catechism, scattered groups of teenagers and young people and other difficulties for the ecclesiastical community). This diaspora, even in large towns, makes the pastoral work of priests and religious very bard. The problem has heightened during the last two decades on account of the decreasing number of priests and religious. The Ordinary or the Armenian rite (Prelate Priest with a seat in Athens).